News category: Press release - published on 03 September 2017. 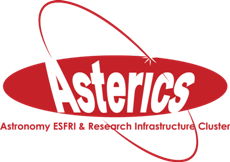 Budget : As a result of this call, a funding support up to €140,000 will be provided from ASTERICS project. The OBELICS management considers expressions of interests from industries for 2-3 projects with a contribution from ASTERICS between €10000 & €50000 per project. This does not preclude submission and selection of proposals requesting other amounts. Please Note: The call opens on 1 September 2017 and will remain open until 1 April 2018. The proposal reviews shall be communicated within two months after the date of reception.